Amid the Republican battle on illegal immigration and deportation of illegal immigrants, the effect of immigration policy on the general election is lost. The general election will likely hinge on the outcome of a handful of swing states, most of which were won by Barack Obama in 2008 and 2012. In order to win the White House, the Republican candidate must flip the states of Florida, Iowa, Ohio and Colorado as well as win North Carolina, which was won by Obama in 2008 and Mitt Romney in 2012. The hardline stance of several Republican candidates in the primary is almost certain to make it difficult or impossible for them to win these swing states in the general election. Losing even one of these states would put Hillary Clinton or Bernie Sanders in the White House. To understand why immigration may kill the chance of electing a Republican president, let’s take a closer look at the State of Florida. The Center for American Progress, a left-leaning think tank, recently published estimates of the racial and ethnic composition of swing state electorates. The group estimates that the largest minority voter group in Florida will be Hispanics with an estimated 20.2 percent of the electorate. Blacks are projected to increase to 15.5 percent of voters and Asians to 2.2 percent. Pew Research puts the share of Hispanic voters for 2016 slightly lower at 18.1 percent. In either case, the Hispanic share of the electorate is steadily increasing. Exit polling also reported by Pew found that Hispanics made up 17 percent of Florida voters in 2012 and 14 percent in 2008 so a 2016 share of 18-20 percent is realistic. While all minority groups are growing in the state, Hispanics make up the fastest growing group. In this year’s election, minority voters are likely to make up between 35 and 38 percent of the electorate. This would be a substantial increase over the 33 percent they represented in 2008.
Who do these groups vote for? Washington Post exit polls show information specifically for Florida for the past two election cycles. As is well established, Obama won virtual unanimity among black voters with 95 percent in 2012 and 96 percent in 2008. Among Hispanic voters, Obama won a less commanding majority. In 2008, Obama won the Hispanic vote by 57 percent to John McCain’s 42 percent. In 2012, the total was practically the same with Obama at 60 percent and Mitt Romney at 39 percent. In Florida, Romney lost by 74,309 votes out of 8.4 million votes cast. That is a margin of 0.8 percent. Many observers believe that Romney lost the race with a comment in a primary debate in January 2012. In that debate, Romney stated that his plan for dealing with illegal immigrants was “self-deportation.” The election could have easily turned on the feeling of many Hispanics that Romney and the Republicans didn’t like them and didn’t want them in the country. If Hispanics respond to an innocuous remark in a debate with a landslide for Democrats, the question that needs to be addressed is how they would respond to a policy of mass deportations and the elimination of birthright citizenship. Many conservatives believe that Hispanics and other legal immigrants will back conservative candidates with a hard line on illegal immigration because they resent the illegals who don’t wait their turn. Is this belief supportable by fact? In August 2015, a Gallup poll found that two-thirds of Americans support a pathway to citizenship for illegal immigrants. Among Hispanics, support for what some Republicans call “amnesty,” runs even higher. 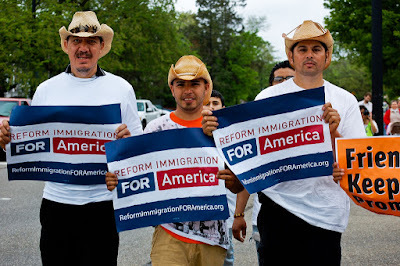 Seventy-seven percent of Hispanics favor a pathway to citizenship for illegals. On the issue of birthright citizenship, most Americans favor keeping the Constitution and birthright citizenship as is by a margin of 57-39 percent according to an August 2015 Pew poll. Among Hispanics, 73 percent oppose trying to end birthright citizenship. The same poll found that 72 percent of Americans believe that illegal immigrants should be allowed to stay in the United States. Only 17 percent favor a national effort to deport all illegals. The survey did not give statistics on the question for Hispanics, but did note that 60 percent of Hispanics saw an increase in deportations as a bad thing and that 46 percent were concerned that a close friend or family member could be deported. For most Americans, immigration reform is not an important issue. Last week, Gallup found that the economy was the most important issue for most voters at 17 percent. Ten percent of voters name immigration as the most important problem, placing it in a tie for third place with jobs and unemployment. Hispanic voters agree that the economy and jobs are the most important issues according to a Univision poll from last July. Unlike most voters, Hispanics rank immigration as another “hot button” issue. Using the “Swing the Vote” tool from Five Thirty Eight, we can see that a shift of the Hispanic vote by three points nationally would move Florida to the Republican column. Specifically, in 2012, Obama won Florida by 74,309 votes. That means that flipping only 2.6 percent of Florida’s Hispanic vote would have flipped the state to Romney. Winning 43 percent of Hispanics should not be an unattainable goal for Republicans. George W. Bush won 44 percent of Hispanics nationally as recently as 2004. Chris Christie won the Hispanic vote outright in New Jersey, a solidly blue state, in 2013. The immigration vote will be important in other swing states as well. Colorado has a Hispanic electorate that, at 15 percent in 2012, is almost as large as Florida’s. Virginia and Ohio have fewer Hispanics, but have large immigrant populations, many of whom are naturalized and can vote. These voters can be reasonably expected to oppose candidates with policies that they perceive as anti-immigration and unfriendly. The American Immigration Council estimates that almost five percent of Ohio’s population are immigrants. About half of these Ohioans are naturalized and eligible to vote. About two percent of Ohioans were Hispanic. This is 60 percent of Obama’s margin of victory in 2012. 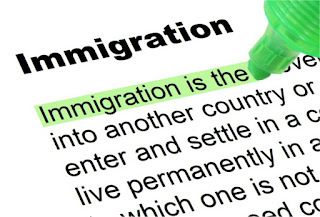 In Virginia, the AIC statistics show that immigrants make up 11 percent of the population. About nine percent of these are Hispanic. Again, half of these Virginians are US citizens who are eligible to vote. Again, this is more than half of Barack Obama’s margin of victory. Almost all swing states have Hispanic and immigrant populations that could easily be decisive in the 2016 general election. By focusing on the divisive issue of immigration rather than topics that unite voters against the Democrats, Republican candidates may be making it impossible to win the election in November. Read, comment and share on Conservative Firing Line and Freedom Daily! Can Republicans put the brakes on Donald Trump?